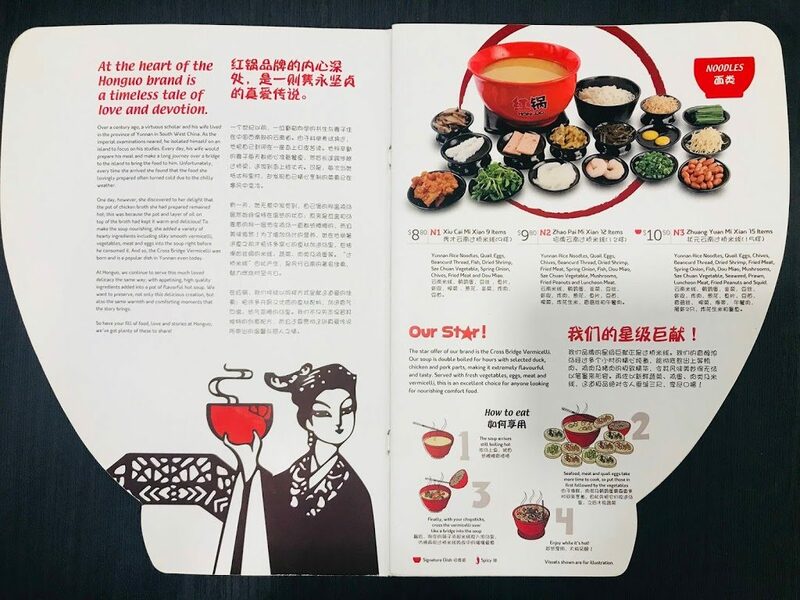 Located beside Tempura TENTEN, you can’t miss 红锅HonGuo with its bright red and black signage. 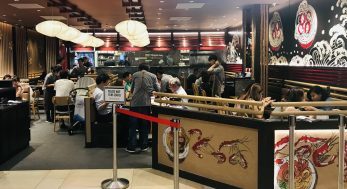 I have walked past this Chinese restaurant quite a few times but I have never wanted to try their food until I read the story behind their signature dish, Cross Bridge Vermicelli. I like the spaciousness of the restaurant all decked out in red, white and black colors. 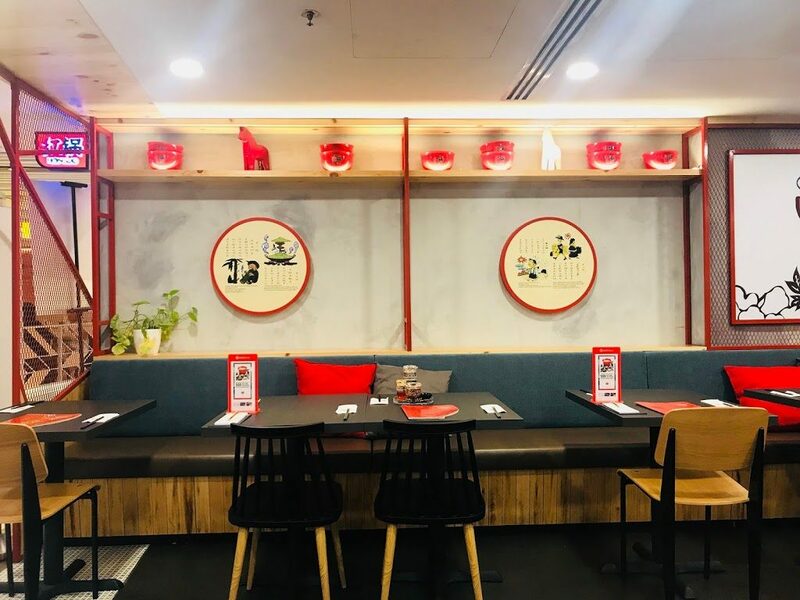 The design and pictures of the restaurant reminds one of an old teahouse in Yunnan. Legend has it that more than 100 years ago, a scholar and his wife lived in Yunnan. The scholar decided to isolate himself on an island to study for the imperial examinations. His wife prepared his meals daily and took it to him by crossing a bridge. 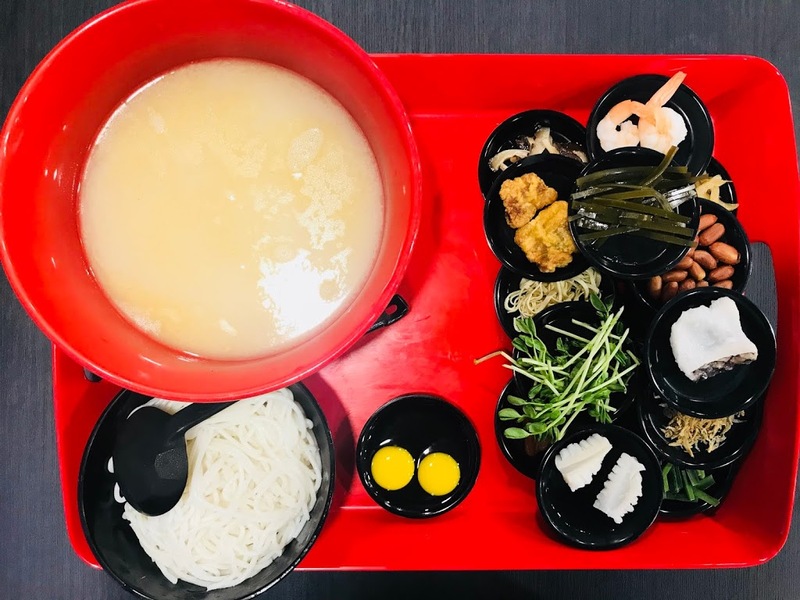 She discovered that the layer of oil on top of the broth kept the food hot. 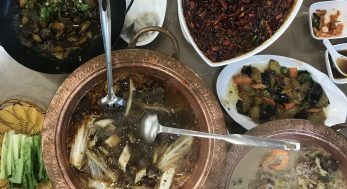 Cross Bridge Vermicelli was this born and Yunnan people has been eating this dish for more than 100 years. The people of Yunnan has been eating Cross Bridge Vermicelli [$8.80! 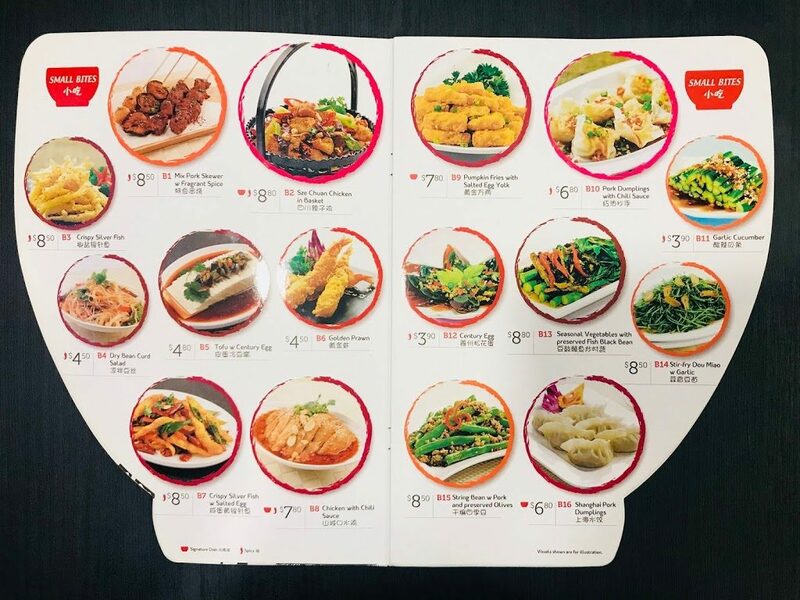 for Xiu Cai Mi Xian 9 Items, $9.80 for Zhang Pai Mi Xian 12 Items, $10.50 for Zhuang Yuan Mi Xian 15 Items] for more than 100 years and it is one of the speciality dish in Yunnan. 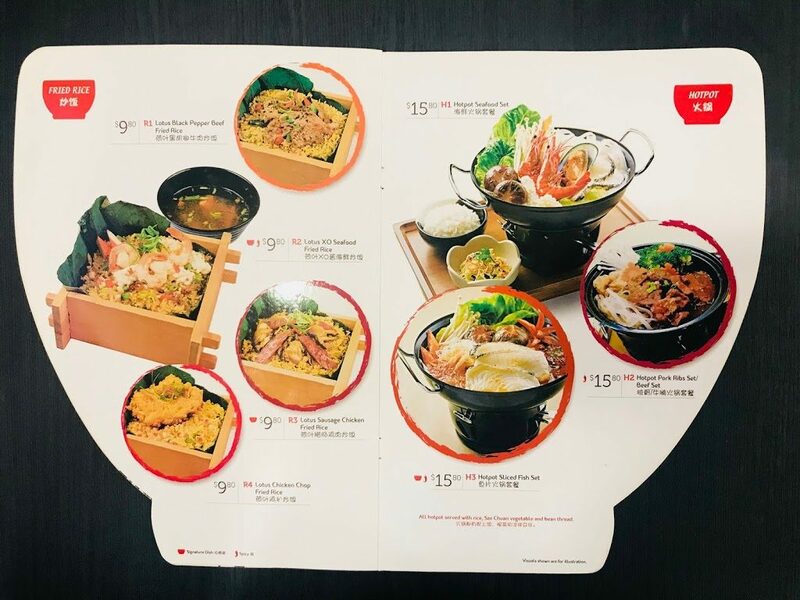 The boiling hot chicken soup comes in a large red bowl, accompanied by 9/12/15 saucers containing the different ingredients. 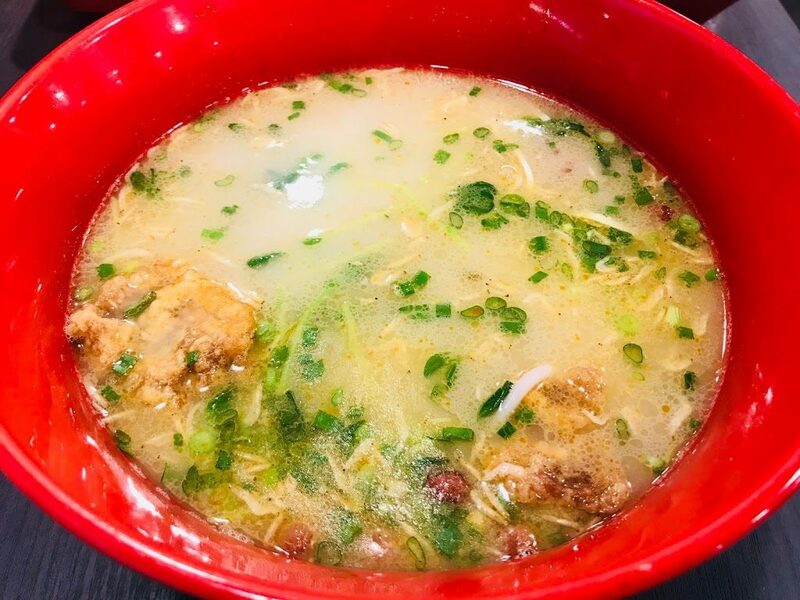 The staff will help you to add the ingredients into the chicken broth one after another or you can also choose to do it yourself. 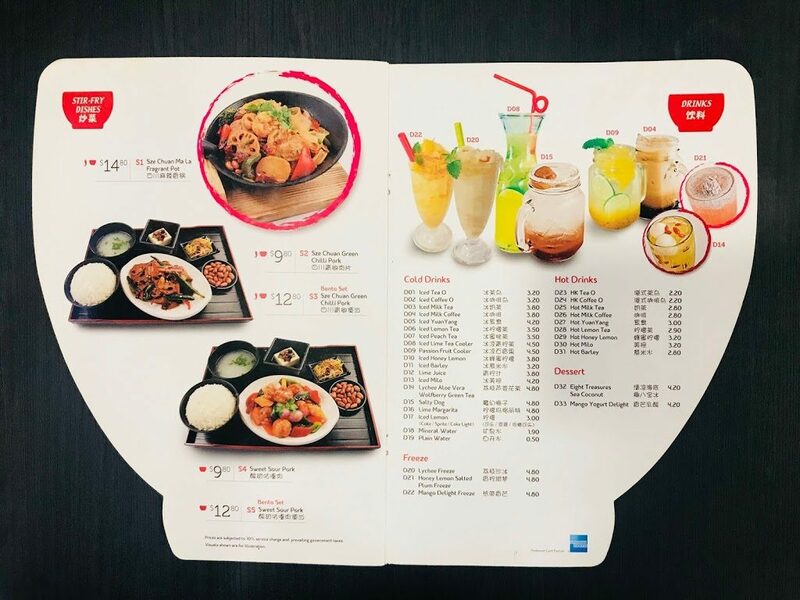 The ingredients for the Zhuang Yuan Mi Xian that I ordered includes Yunnan rice noodles, quail eggs, chives, beancurd thread, dried shrimp, fried meat, spring onion, fish, dou miao, mushrooms, sze chuan vegetable, seaweed, prawn, luncheon meat, fried peanuts and squid. 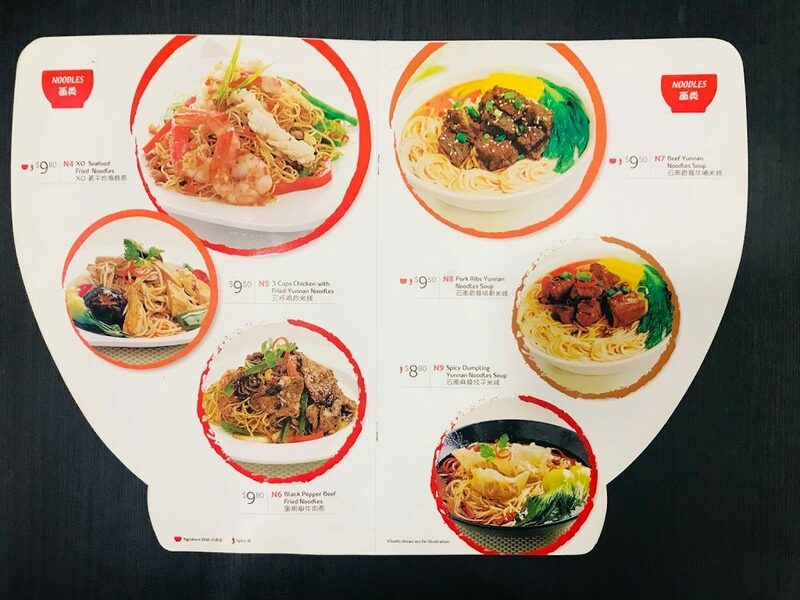 If vermicelli is not your thing, there are 6 noodle dishes to choose from such as Beef Yunnan Noodles Soup [$9.50] and Spicy Dumpling Yunnan Noodles Soup [$8.80] and Pork Ribs Yunnan Noodles Soup [$9.50] but most of them are spicy. 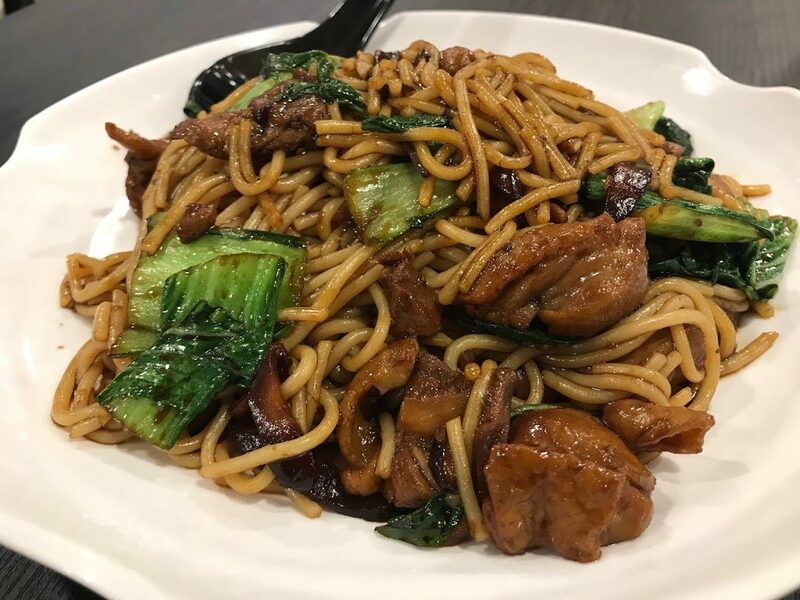 The only non-spicy noodle available is 3 Cups Chicken with Fried Yunnan Noodles [$9.50](it can be made spicy on request). The soy sauce coats the noodles evenly with a generous amount of chicken pieces and vegetables. 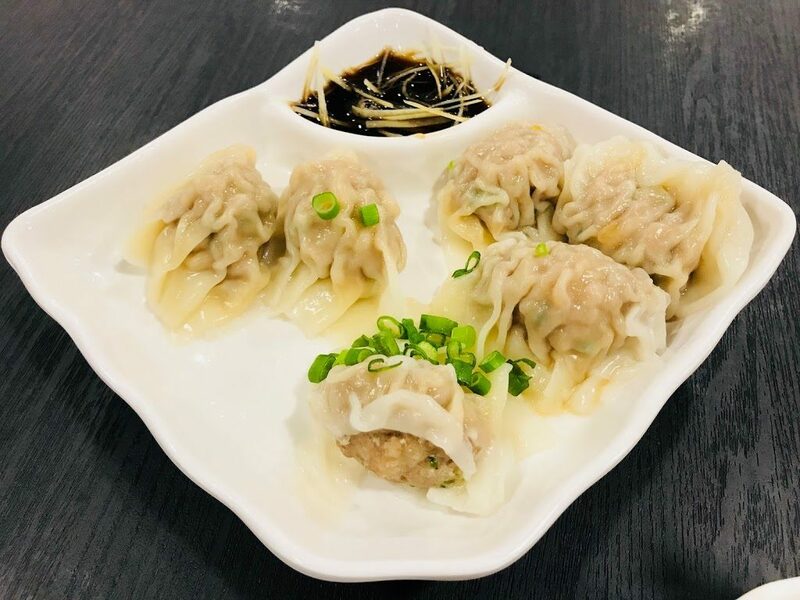 I have no idea what is Shanghai Pork Dumplings [$6.80] doing in a Yunnan restaurant, but these bite-sized dumplings are packed with minced pork and they make an excellent side dish or snack. 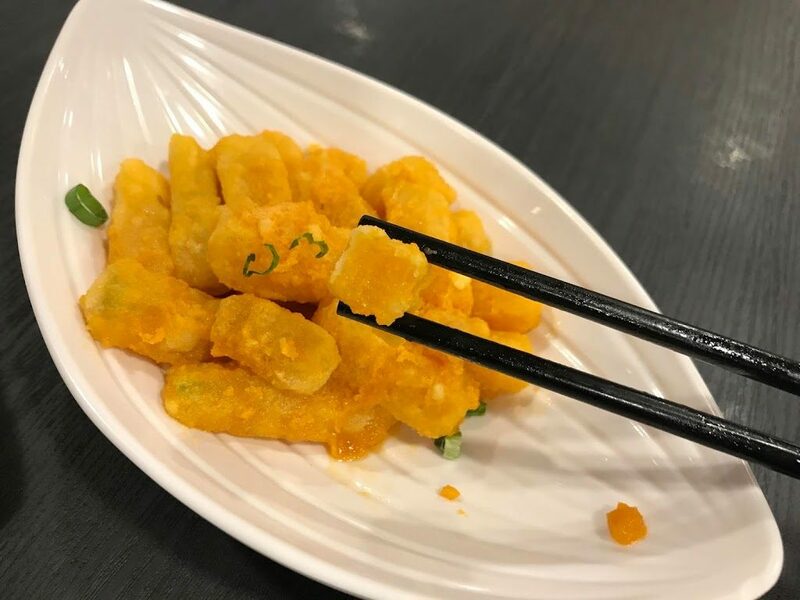 I am a sucker for anything with salted egg so this Pumpkin Fries with Salted Egg Yolk [$7.80] is right up my alley. 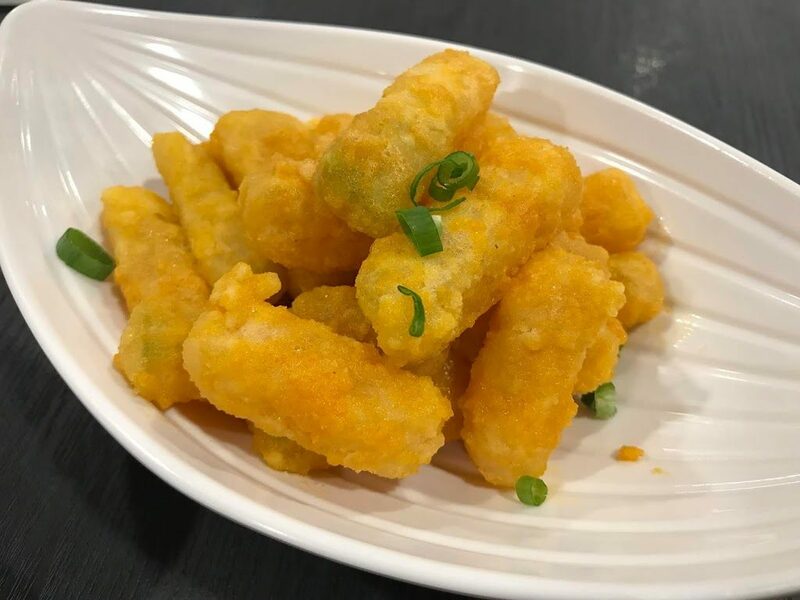 The pumpkin is really sweet, not too soft and not too hard, each piece is evenly coated with the salted egg sauce. 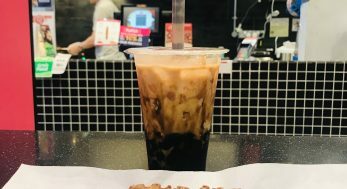 It is so good that I almost wanted to order another serving. 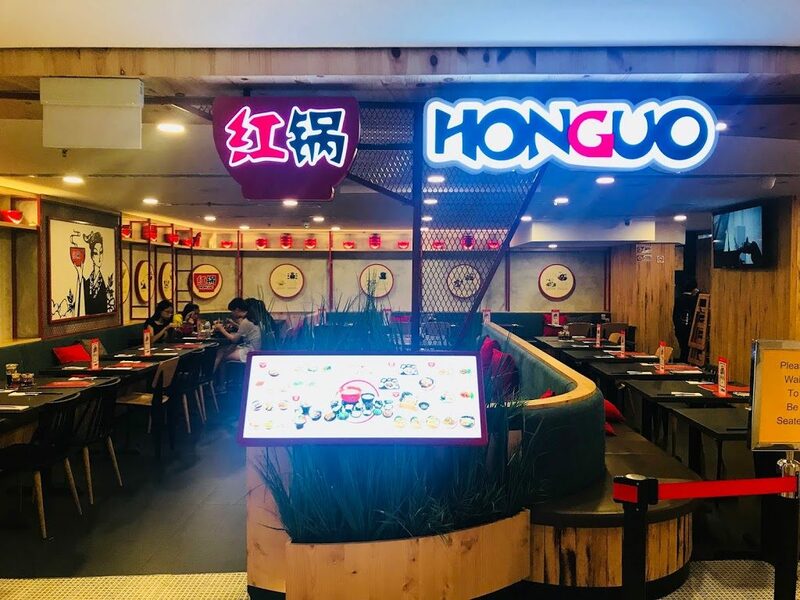 Addresses, telephone and opening hours of all 3 HonGuo outlets in Singapore can be found here.